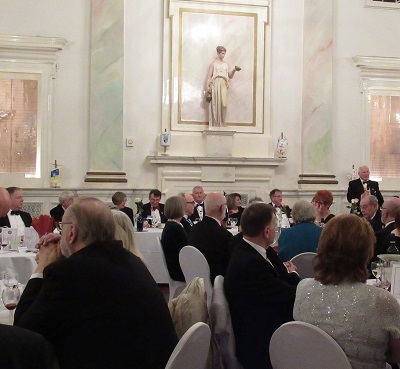 The Rotary Club of Lincoln celebrated its 97th Charter Night at the Assembly Rooms Bailgate Lincoln. 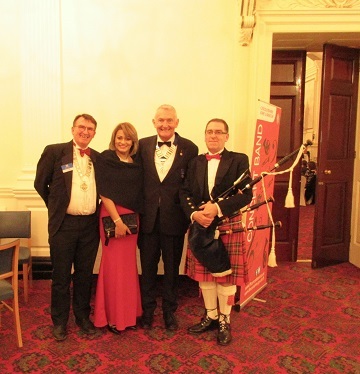 President John Cawdell was joined by 75 Rotarians and guests, including DG Tim Tucker and ADG Peter Berry. 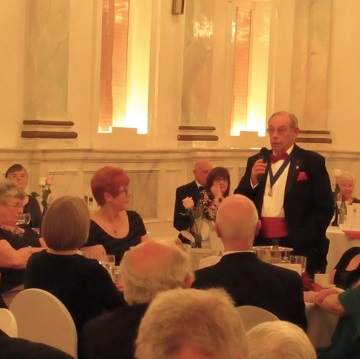 President John welcomed the gathering and later proposed a toast to the guests. Alan & Wendy Nugent led the grace. The roll call was conducted by Malcolm Webb. 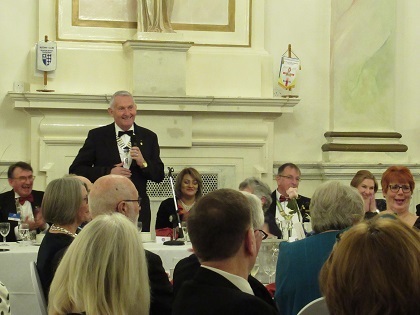 Peter Hill proposed the toast to Rotary International with Tim Tucker responding then Christopher Forbes-Ritte responded to the toast to the guests by President John. 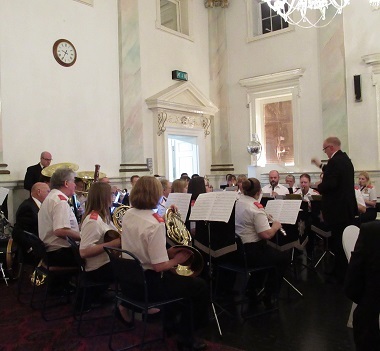 The above was all completed with skill and brevity so that the entertainment by the Lincolnshire Fire and Rescue Band, conductor Brian Newland, could round off a great evening. 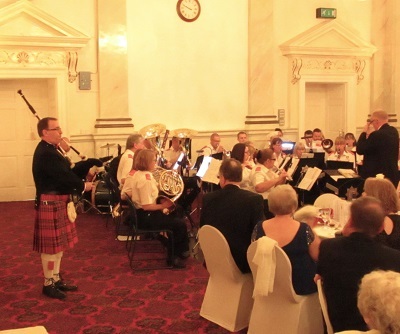 At one point the band were joined by highland piper Mark Chesman who made a most impressive entrance to the skirl of his pipes. 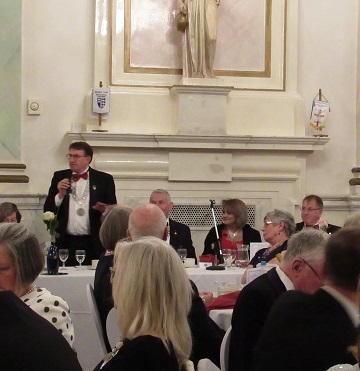 President John addresses the guests. Highland piper Mark Chesman accompanying the band.